My most used product, I went through around 5 of these now. Firstly let's get it straight it's not an "miracle" product. 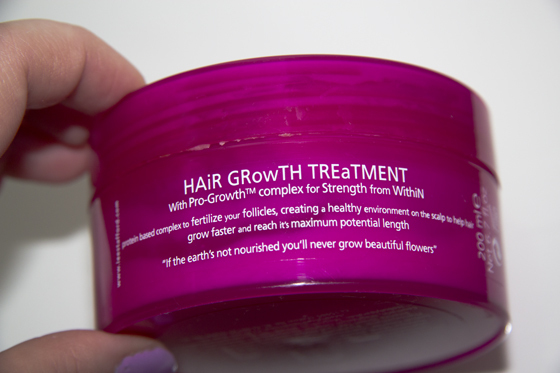 It won't make you hair grow faster. Now you may be wondering why did I use up so many of these, if they aren't working. If you don't know already I have very sensitive/dry scalps and this had been doing wonders to them. They are not as flaky looking, as they are when I use pretty drying shampoo (experimenting, with new shampoos), my scalps became very well moisturised after using this. The Lee Stafford Treatment is very moisturising my hair and my scalps, smells so lovely too. I normally like to use it when I'm having a pampering bath (once a week, as I like to shower more than bath), I leave it on my hair for around 5 minutes as recommended. I massage this into my scalps and then apply some to the rest of my hair, mostly focusing on the ends. Sometimes I over use it, but I just can't control the amount I apply to my hair. I feel like when you use it, while having a bath, the steam opens up the scalps and it's let the products sink in better. Going back to the growing faster bit, I have pretty long hair already and I haven't notice a big improvement in growing speed. 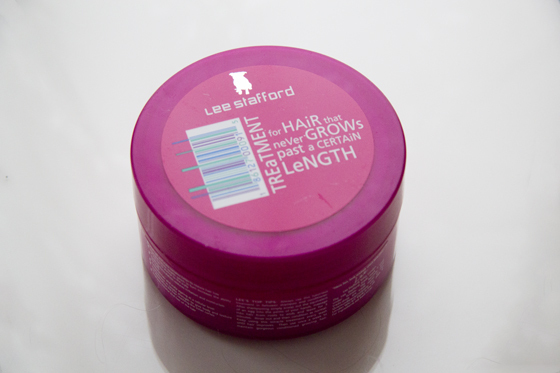 Maybe if you would use the whole Lee Stafford Growth Range, then your hair would improve on the growth time. The product is pretty pricey for what it is, so I normally stock up on this when they have an good offer on this, like two Lee Stafford products for £8, so it's like getting one free. You just have to watch out for this sort of offers in Boots. I would recommend it if you have very dry scalps, and not for the hair growth. I also have sensitive scalp, I dont know if you can purchase these in New Zealand but maybe on ebay or on an online store. I must have a look!